Discussion in 'Other Brands' started by soccerandkikz, Jan 21, 2016. 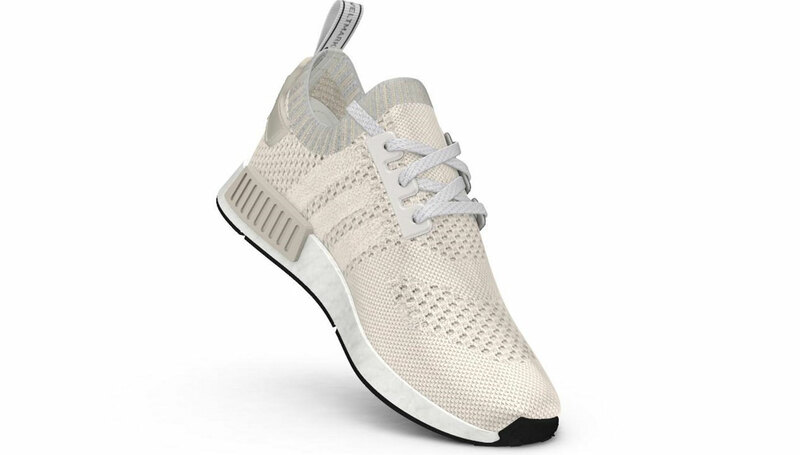 Speaking of Static NMD, the Wife has decided she wants a pair. Anyone seen a US 5-6 online anywhere? Keep checking Adc. They have had quite a few scattered size restocks in the last 3 to 5 months. So no update on NMD Hu this season???? Man, I've been waiting to see what Adidas will do next for a PK NMD. I personally loved the STLT and bought every colorway I wanted. It seems like everything new is mesh and not PK. I'm definitely not interested in mesh. Has anyone seen what's on the horizon for PK NMDs? -NMDs are basically the new Roshe now, sneakerheads have moved on from the model but non-sneakerheads are still interested and are more inclined to buy lower-priced mesh NMDs, especially when they are inevitably marked down. I wish we would get an R3, but I don’t even think Adidas makes R2s anymore (or even XR1s, for that matter). It’s a shame because the line had a lot of promise but I think Adidas is simply satisfied selling as many R1s as possible rather than trying to design a worthy successor. Yeah, you're right on all accounts! I absolutely love CS2s and was hoping for some more/better colorways on R2s. NMDs just work well for my wide feet, but I will only go PK as it's amazing and I have no interest in the mesh offerings. I guess we'll see what happens. I do have a few pairs of deadstock STLTs sitting in boxes so I'll have a stash to wear for a while. loveat1stsole and kungfu koala like this. They pulled the stock off of Adc yesterday; so these will hit the outlets soon. truhustla8807 and Zainjal26 like this. no hype for the nhd bape nmds today? Legit forgot they dropping.. Damn! I was lucky enough to cop a pair of the Bapes for my kid who wanted these for his 12th birthday. Very surprised I got thru. I had already gotten him the Bred 4s which were delivered yesterday. I intentionally got the 4s a little bigger since he’s still growing. Turned out to be a good decision. He can rock the Bapes now and 4s later. bashmilk, kungfu koala and bainshot like this. baseball7 and tonydeals like this. Appreciate it fam. I created a monster with my habit. It’s only right to keep the kiddies laced too. He takes good care of his kicks for a middle schooler and I have 9 year old that will inherit some heat. Unds Today! One of the last Pk R1 they dropped.